CEO of RICS, Sean Tompkins, said that the Indian real estate market fails to meet global standards. He added that foreign realty investors are cautious of having investment in the Indian market now. The Economic Times quoted Mr. Tompkins saying that the situation is well present since 2005. The report stated that India had failed to be an attractive destination for real estate investors. During the period between 2006 and 2009, nearly $20 billion was invested in the real estate market of India. Only $2-3 billion, out of this $20 billion, could exit successfully. The remaining amount has still not been able to exit with profit. Despite being invested for almost 6 years, this amount is not yet able to exit with an appreciable return. Real estate experts point to the increased land prices as one of the main reasons which narrow the profit of investors. Further they have to face higher resistance of the buyers as well. Due to these factors the investors’ margin has fallen sharply. With decreased returns the investors are planning to exit. Yet they are not able to exit with at least handful returns. The diminished amount of returns prompts the Private equity firms to quit the field. These firms are also trapped as they are also not able to find a way out. Private equity firms had invested highly in the boom years i.e. 2006 to 2008. It was reported that due to this failed investment scheme many heads of these Private equity firms lost their positions. Meanwhile many heads were rolling at the top levels these PE firms remain incapable of exiting. These PE firms now do not engage them into any sort of investments. They seem to move very cautiously over their investment strategies and plans. 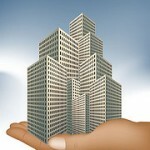 Mr. Tompkins opined that only by creating a right condition in the real estate market, India can attract the investors. If India wants to do so then India has to look for reforms. The nation may have to treat real estate and construction as proper professions in the same way the Western countries do. In this way India can attain global standard. This entry was posted in Articles, Real Estate News and tagged Private Equity, real estate investment, Real Estate Market by designer. Bookmark the permalink.